With their fall/winter 2013 collection the accessories label AKKESOIR shows a unique repertoire of exclusive jewelry, bags, clutches as well as iPhone and iPad cases. The statement necklaces of the 'Marilyn's Millionaire Collier' series are distinctive one of a kinds that are made of various chains, gems and crystals. 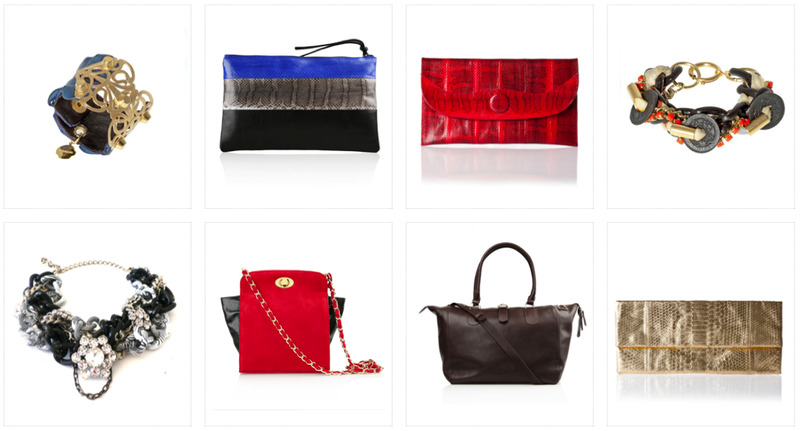 Furthermore AKKESOIR presents high-class bags made of luxurious leather. One of the collection's highlights is the compact, trapezoid 'Boxy Bag'. Berlin-based Dutch designer Akke Aimaq is the woman behind AKKESOIR and founded the label in 2008. The label's name is a combination of Akke and accessories. With the launch of the online shop www.myakkesoir.com in January 2013 the collections are available worldwide now.